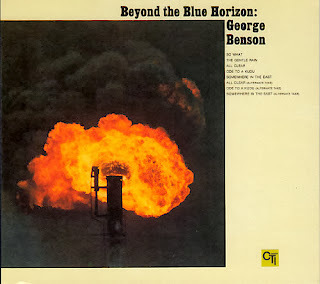 George Benson's Beyond the Blue Horizon (1971), his label debut with CTI, is "one of Benson s best records, with 'So What?' 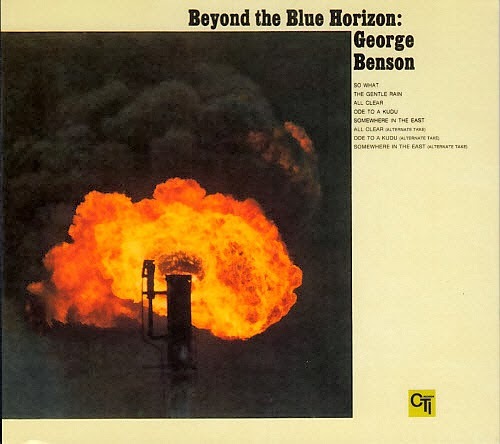 and 'The Gentle Rain' ... lyrical but quite hard-bitten, and with an excellent rhythm section behind him, Benson finds room to stretch out" (The Penguin Guide to Jazz Recordings). 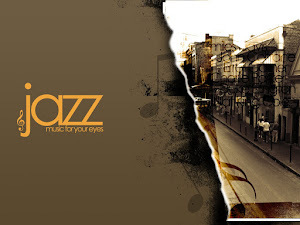 AllMusic.com calls it " superb jazz session ...a must-hear for all aficionados of Benson's guitar." 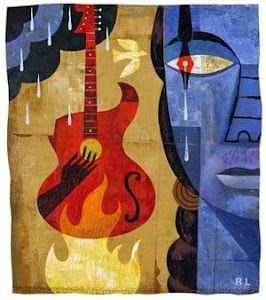 For all those who long for the George Benson who played masterfully and powerfully, for those who have avoided buying George Benson's post Bad Benson recordings because they miss the masterful guitarist who had you playing air guitar if you were a non musician and had you picking up the needle and setting it back to cop his licks. If you were a guitarist, then this one's for you. The selections are straight up and cooking. Ron Carter and Jack De Johnette drive the rhythm section along throughout. Each clearly identifiable and bringing their unique approaches.